Q. Can vistors / guests access the wireless network? Yes. The 'Stockton-WiFi' network does not require a username and password. Visitors connecting to the wireless network will need to certify that they accept Stockton's Acceptable Use Standards. The library also offers designated computers for visitor access. They are indicated with a bright pink card near them with login instructions. Guests cannot print from these accounts. 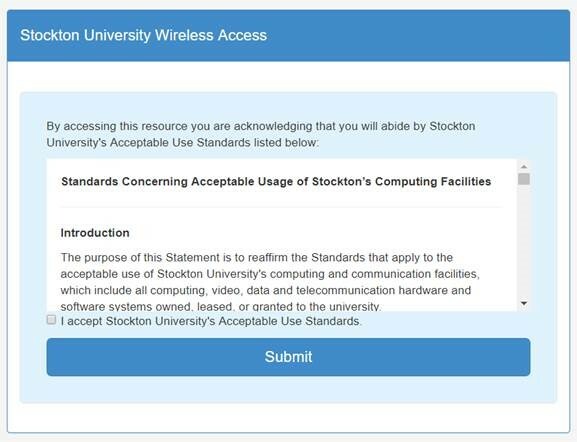 Stockton students, faculty, and staff should use the 'Stockton-Secure-WiFi' network.